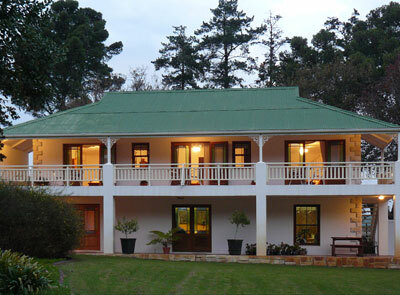 Robin’s Nest is nestled at the foot of the Onrust mountains at the beginning of the Hemel and Aarde Valley. Originally part of the farm Rheezicht, the guest accommodation is located in the gardens of the old homestead with breathtaking views of the mountains. 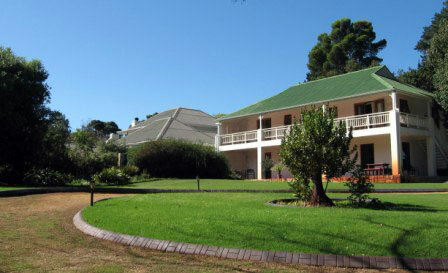 A real country retreat less than 3km from the center of Hermanus. 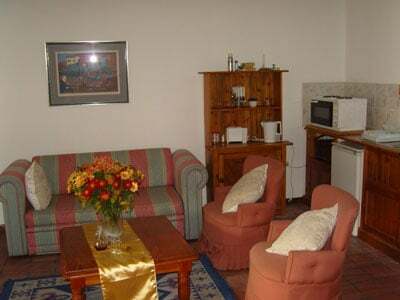 Self-contained Apartments each have their own lounge, en-suite bathrooms and TV. Safe private parking is available. 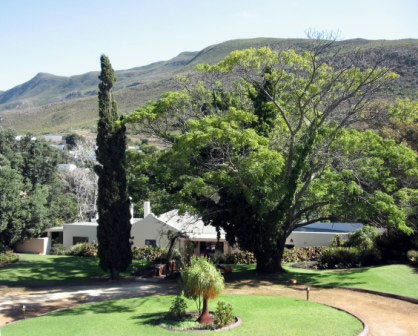 Enjoy your own braai under the beautiful trees in the tranquil garden, braai-utensils provided and wood available. There are 3 excellent restaurants and a farm stall within walking distance. 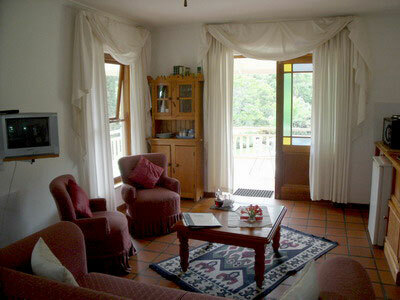 Each luxury room with access via an outside staircase is furnished with antique cottage furniture. It sleeps 2 people on either a double or on two single beds. 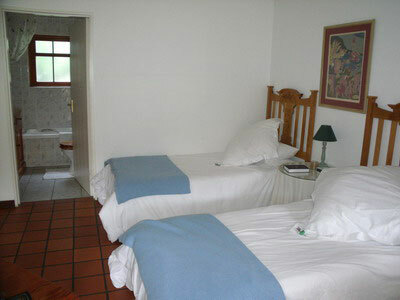 Rooms have TV and en-suite bathrooms. 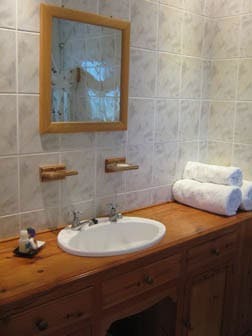 Clean linen is supplied twice a week and towels every day.